While the Marvel Cinematic Universe recovers from the events of Captain America: Civil War, there's a playful rivalry igniting behind the scenes. Last week, the Russo Brothers shared the first photo from the set of Avengers: Infinity War, giving us a look at Thanos actor Josh Brolin rehearsing in motion capture gear. 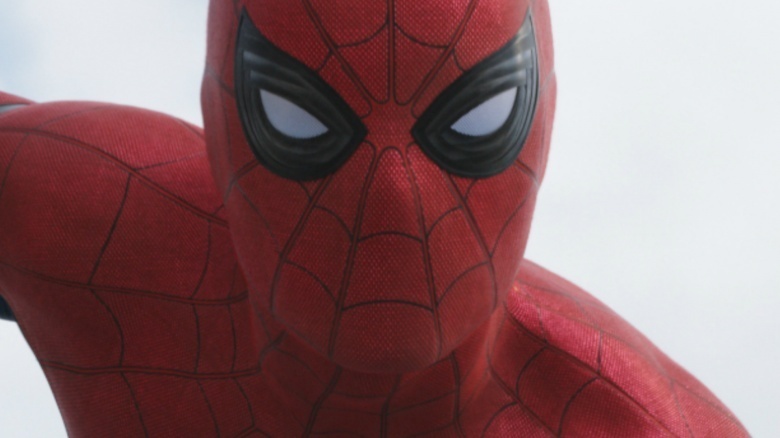 Now Spider-Man: Homecoming director Jon Watts has posted a video of Tom Holland putting his own spin on CGI technology. The brief clip features Holland (who made his start dancing up a storm in Billy Elliot the Musical) busting a move in his own motion capture outfit. Watts called out the Russo Brothers and said, "Yeah, but can Thanos do this?" This isn't the first time someone from Homecoming has given a direct nod to something a fellow MCU member recently posted online. Of course, Spider-Man is known to be kind of a troublemaker. In Homecoming, Holland will be joined by Robert Downey Jr. as Tony Stark/Iron Man, Michael Keaton as Vulture, Marisa Tomei as Aunt May, and Zendaya as Mary Jane Watson (well, that's her rumored role). Recent photos also hint that Bokeem Woodbine will play Shocker, while Michael Chernus has been confirmed as the Tinkerer. Spider-Man: Homecoming hits theaters on July 7, 2017. Check out our exclusive pics from the set.